Reading week continues and I’m appreciating the fact that I have no school. Again I’ve read a book a little bit outside my normal repertoire, but I think it’s interesting and now I’m also reading these books in a special context which makes me think about them in a different way than I probably would if I had just picked them up at random and started reading. I’m going to skip my normal blurb for the book and just go straight to my thoughts on it since there really isn’t any blurb about this book haha. This is a political document and while I’m not a communist, nor very politically active to be honest, I still find it interesting to read the thoughts of these two men. This is a document that has changed so many lives since it was published in 1848. It was published during troubled times in Europe. It was meant as a pamphlet for people to read on the street and the version I read was 52 pages long. 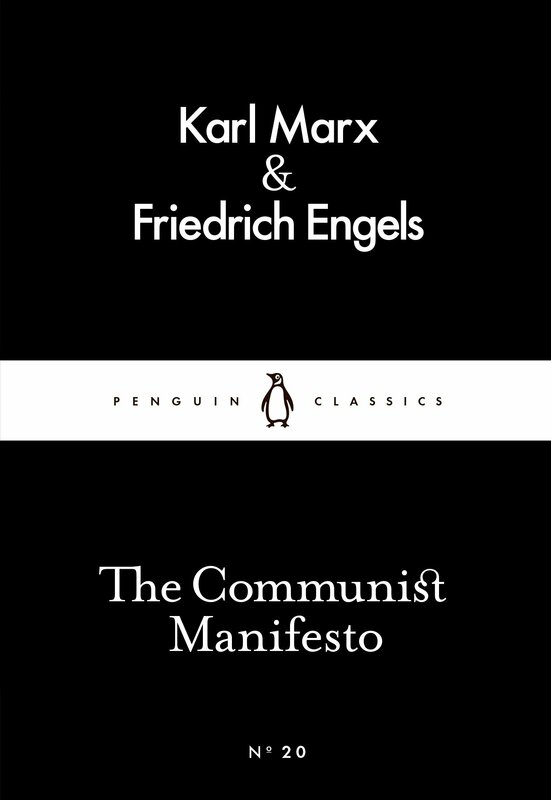 The full version is about 300 pages I think and then there is Das Kapital which is 356 pages according to Goodreads. The terminology was a little bit difficult to capture in the sections so Google Translate was my good friend at some points during the book. The Manifesto is parted into four sections where the last section is a short summarize. The other sections talk about «Bourgeois and Proletarians», «Proletarians and Communists» and «Socialist and Communist Literature». I found it the easiest to understand the first section due to that fact that in my opinion it was easier to relate to it to history and I felt like that was what most of my history classes in school had focused on. This section talks about the workers and the bourgeois and their relationship including the feudal system and the differences this creates. When looking at the history that this manifesto is a part of it is quite amazing how it has unfolded. Communism was the ruling way of Sovjet Union and it destroyed so many lives. It is still shaping peoples lives today. I’m just going to stick to the historical facts that I’m completely sure about, it’s never good to speculate too much and that’s not what I want to portray to you guys. The section I struggled that most with was the third, the Socialist and Communist Literature. I felt that this was hard to wrap my head around, because a lot of the thoughts were very strange to me, which I assume is normal since I don’t agree with this branch of politics. I think that sums up my experience about this book/pamphlet. I’m not agreeing with it, I didn’t quite grasp it all and I find it hard to put myself in the position of the people who lived at the time when it came out. So this wasn’t my best post, but sometimes it is just hard to express yourself about something, do you know what I mean? I definitely think it was worth reading because when people now in the future refer to it I will be able to grasp things a little bit better.